The Budawang tribe were the Aboriginals to be sighted by Captain Cook in 1770, on Koorbrua beach at nearby Murramarang. Budawang Cottage has two bedrooms, one bathroom, a fully equipped kitchen and a large open plan lounge/dining area.It has gas oven and stove, and fridge. It has a gas heater. Outside is a generous covered patio with BBQ, plus toilet and car port. 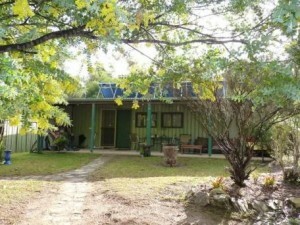 The cottage is surrounded by beautiful native gardens, and a citrus orchard. Both bedrooms have three single beds – two bunk beds and a separate single, allowing accommodation for up to six people. 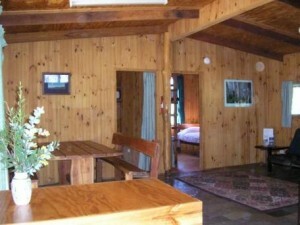 The rate for Budawang Cottage is $120 – $150 per night (depending on the season), which includes two guests. Additional guests are an additional $25 per night. A minimum stay of 2 nights applies to the cottage in peak season. All prices include GST.